Maybe you know what I meant, maybe I know. We can agree that it was an accident, right? 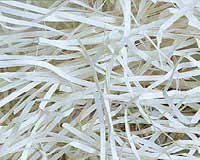 I take the strips of paper from shredded documents. I stare at the parts of letters and form them into words like these.